It is easy to live in an either/or yours/mine world. The reality is we can, if we choose to, live in three worlds, yours, mine, and ours. And herein lies the foundation for success in everything. Our world is the most powerful. Some writers have called it the third way. 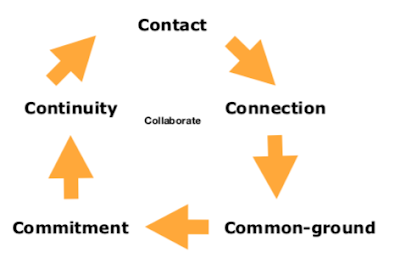 I believe ours is the relationship harmony point, the glue if you will, that binds us together as life partners, families, communities/tribes, teams, clubs, cities, towns, villages, and the great opportunity - our whole world. 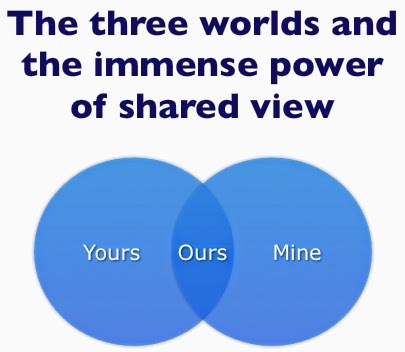 Discovering and maintaining shared-view requires an honouring of yours and mine and a willingness to not be precious about either, rather to embrace both, and then to co-create ours which transcends yours and mine. Honour everyone else’s way. Be confident in your own way. Transcend both and find a way together. Forget about new years resolutions. Instead have the resolve essential to find shared-view with everyone with whom you live and work. What is No BS Mentoring?